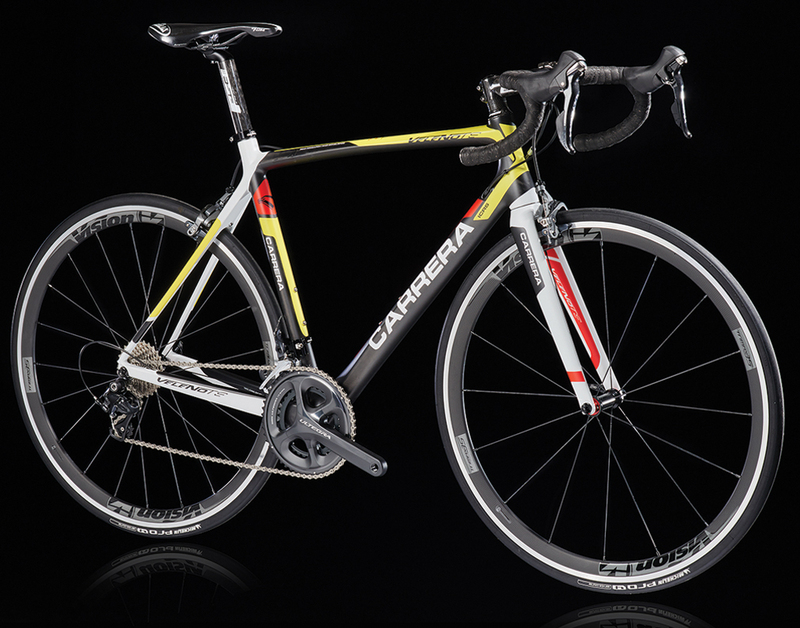 The Carrera Veleno is one of the most popular models in the Carrera range and perhaps the best value. 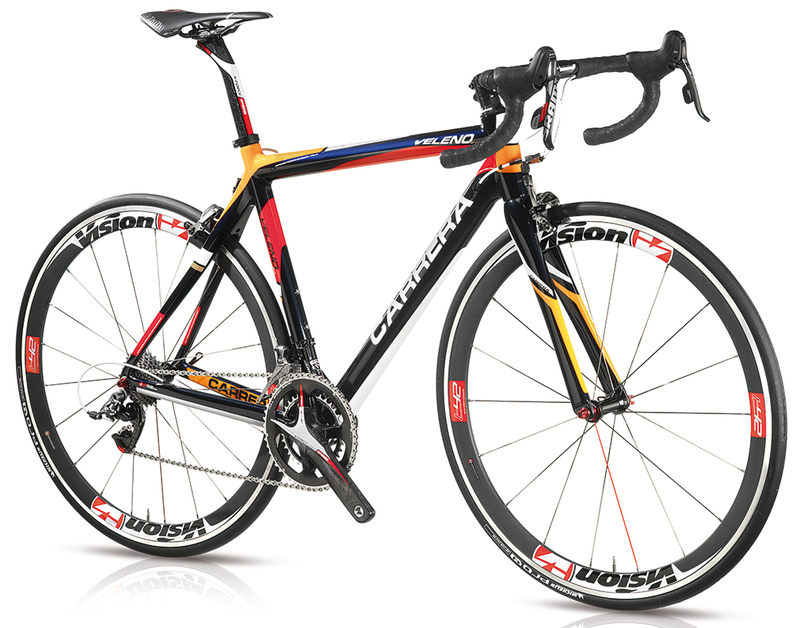 A top level racer will appreciate the performance and responsiveness of Veleno and the recreational cyclist will love it's lightness and comfort. With Veleno the Carrera engineers have combined technology from many models; the asymetrical chainstays to incrrease power on the drive-side to the tapered 1 1/8 x 1 1/4 headtube for improved stability and Press Fit bottom bracket. 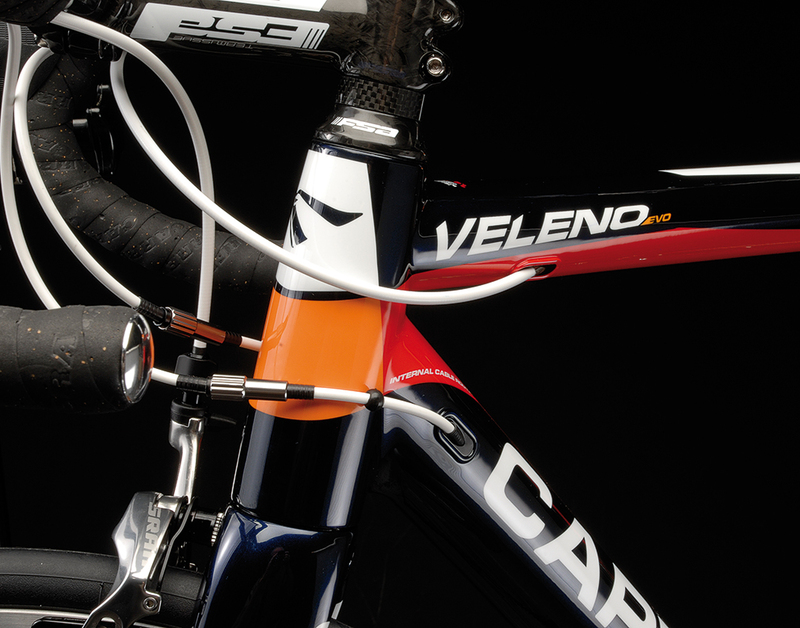 The new Veleno is routed for both electronic and mechanical shifting systems. 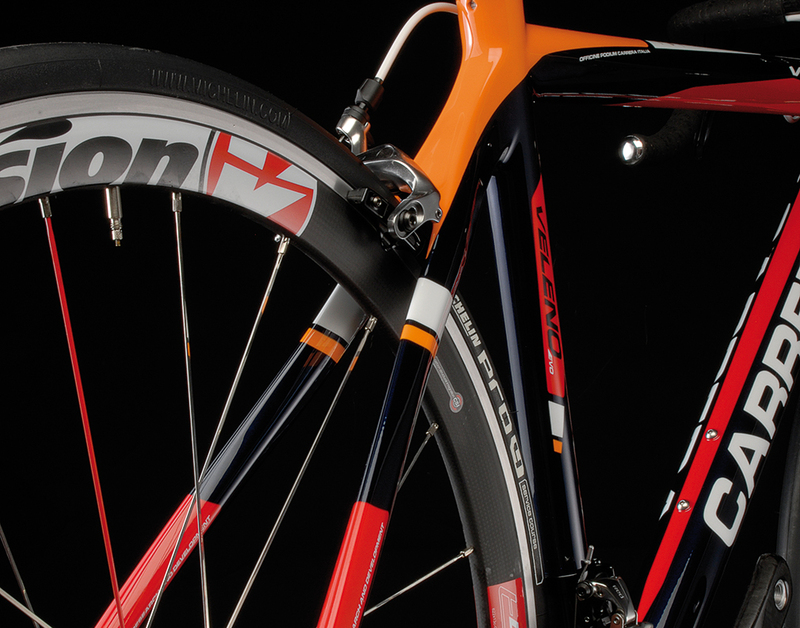 Frame weight is 920 grams; outstanding lightness for a bike at this price. The stunning graphics of Veleno will certainly stand out in the group ride.